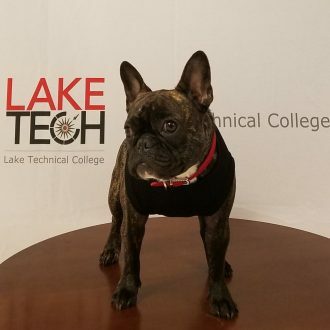 Lake Technical College is proud to introduce our mascot to the community, Lola! 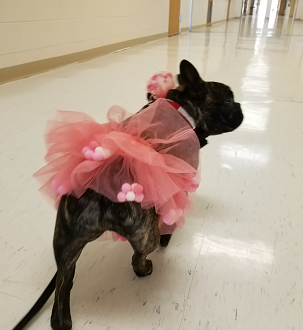 Lola is a two year old French Bulldog who loves Lake Tech’s programs and students. Lola enjoys learning about each program and often visits with students, faculty, and staff. She believes in Lake Tech’s mission to provide high quality career training opportunities to support the needs within the community. We think Lola is the perfect ambassador for our college, and hope you enjoy her Lake Tech adventures as well. Please follow her @LolaLakeTech on Instagram to see what she is up to around campus. Also, follow and “like us” on Facebook, Instagram, and Twitter @LakeTechCollege for updates on programs and events. 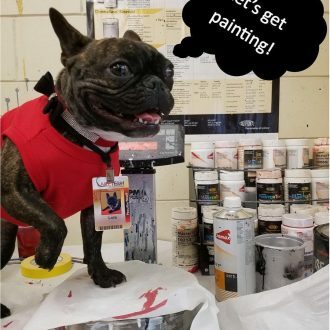 We are proud of what we do here at Lake Tech College, and Lola is an integral part of encouraging current students and prospective students to learn a career in a year!